The main hall size is around 40' (12m) by 33' (10m). Ceiling height is 13' (4m). 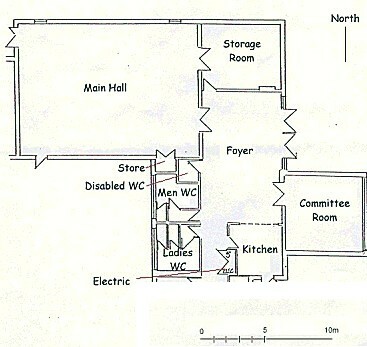 The committee room is around 20' (6m) square.